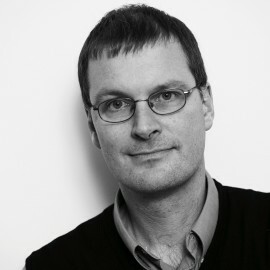 Michael Wooldridge is a Professor of Computer Science and Head of the Department of Computer Science at the University of Oxford, where he is a Fellow of Hertford College. His main research interests are in artificial intelligence, and since 1989 he has published over three hundred and fifty scientific articles on this subject. He is a Fellow of the Association for Computing Machinery (ACM), the Association for the Advancement of AI (AAAI), and the European Association for AI (EurAI). From 2014-16, he was President of the European Association for AI, and from 2015-17 he was President of the International Joint Conference on AI (IJCAI). He lives in Oxford with his wife and two children.